The ISIS terror group is recruiting young children to fight for the caliphate. 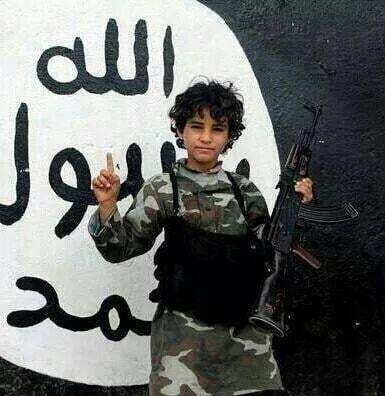 This nine year-old soldier joined ISIS in Iraq. 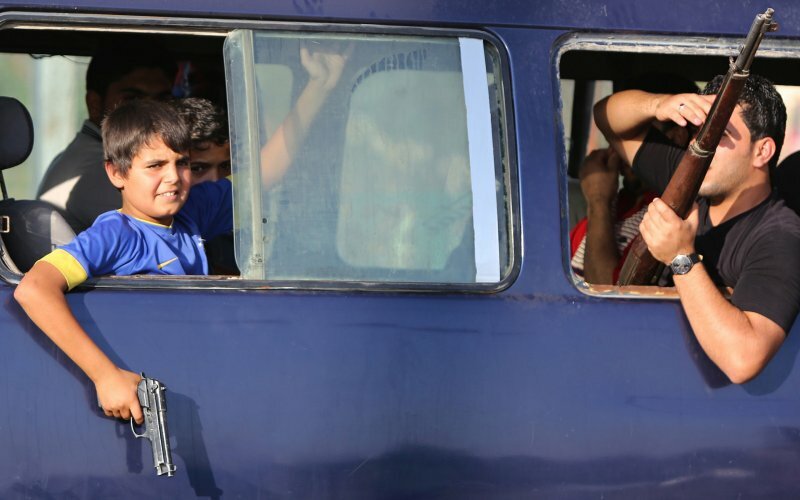 Gun-toting children paraded through the streets of Mosul after it fell under ISIS control. 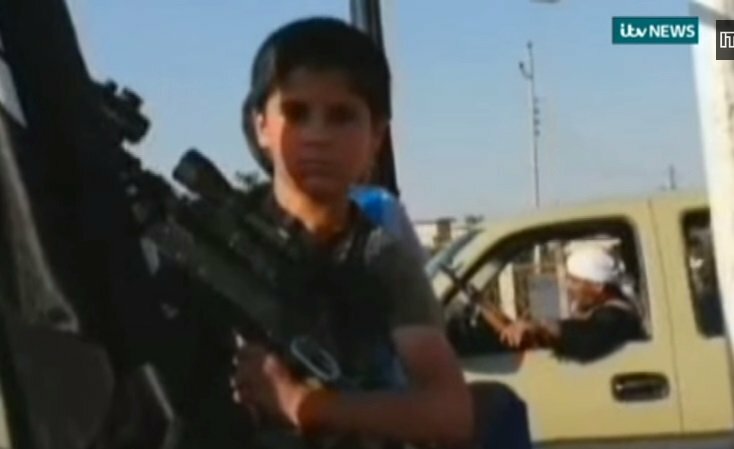 This young ISIS fighter has his own assault rifle with a telescopic sight attached. Here’s another child soldier recruit in Anbar Iraq. ISIS (ISIL) also recruited a 10 year-old soldier in Iraq. The storeowner, Hamdoun, says he has actually grown used to seeing Abdullah wandering around, carrying his big gun with both pride and difficulty. He has also seen the boy on guard duty together with other ISIS fighters in front of the new ISIS headquarters in Mosul, which originally was the home of a government official. In today’s picture of Abdullah, the 10 y.o. jihadi armed with the Beretta 9mm pistol, the man in the other window is armed with a World War 2 U.S M-1 Garand rifle, a .30-06 semi-automatic rifle which the Obama admin has recently dictated to be ineligible for re-importation to the US for civilian use here. This is the rifle which used to be (perhaps still is?) issued / sold to target shooters through the (formerly US Army) Civilian Marksmanship Program. Unintended consequences? Or are they?